The concave hull of a geometry represents a possibly concave geometry that encloses all geometries within the set. Defaults to false for allowing polygons with holes. The result is never higher than a single polygon. 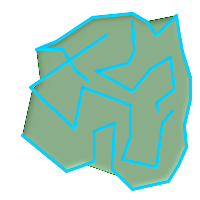 The target_percent is the target percent of area of convex hull the PostGIS solution will try to approach before giving up or exiting. One can think of the concave hull as the geometry you get by vacuum sealing a set of geometries. 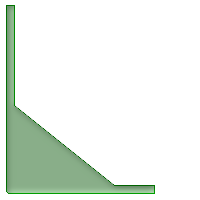 The target_percent of 1 will give you the same answer as the convex hull. 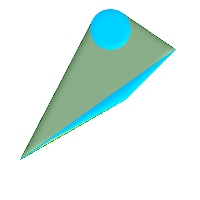 A target_percent between 0 and 0.99 will give you something that should have a smaller area than the convex hull. This is different from a convex hull which is more like wrapping a rubber band around the set of geometries. It is usually used with MULTI and Geometry Collections. 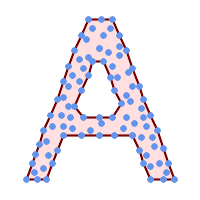 Although it is not an aggregate - you can use it in conjunction with ST_Collect or ST_Union to get the concave hull of a set of points/linestring/polygons ST_ConcaveHull(ST_Collect(somepointfield), 0.80). 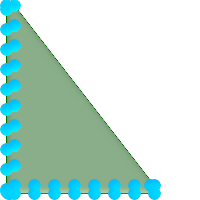 It is much slower to compute than convex hull but encloses the geometry better and is also useful for image recognition. Note - If you are using with points, linestrings, or geometry collections use ST_Collect. 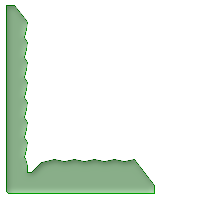 If you are using with polygons, use ST_Union since it may fail with invalid geometries. Note - The smaller you make the target percent, the longer it takes to process the concave hull and more likely to run into topological exceptions. Also the more floating points and number of points you accrue. First try a 0.99 which does a first hop, is usually very fast, sometimes as fast as computing the convex hull, and usually gives much better than 99% of shrink since it almost always overshoots. Second hope of 0.98 it slower, others get slower usually quadratically. 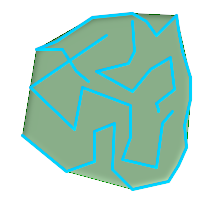 To reduce precision and float points, use ST_SimplifyPreserveTopology or ST_SnapToGrid after ST_ConcaveHull. ST_SnapToGrid is a bit faster, but could result in invalid geometries where as ST_SimplifyPreserveTopology almost always preserves the validity of the geometry. Also check out Simon Greener's article on demonstrating ConcaveHull introduced in Oracle 11G R2. http://www.spatialdbadvisor.com/oracle_spatial_tips_tricks/172/concave-hull-geometries-in-oracle-11gr2. The solution we get at 0.75 target percent of convex hull is similar to the shape Simon gets with Oracle SDO_CONCAVEHULL_BOUNDARY.